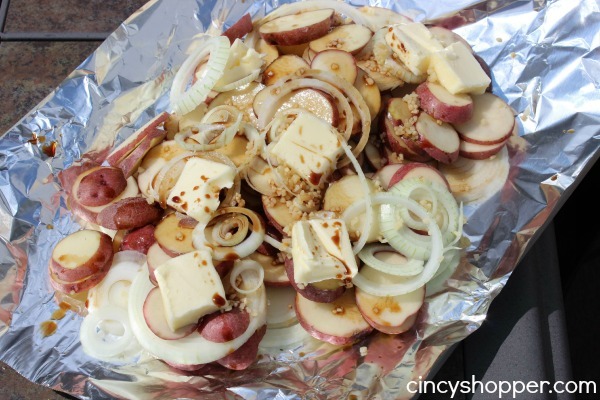 Yesterday evening we were grilling…and decided to whip up this Potatoes on the Grill Campfire Potatoes Recipe. In the past we tend to have always just cooked our meat on the grill. 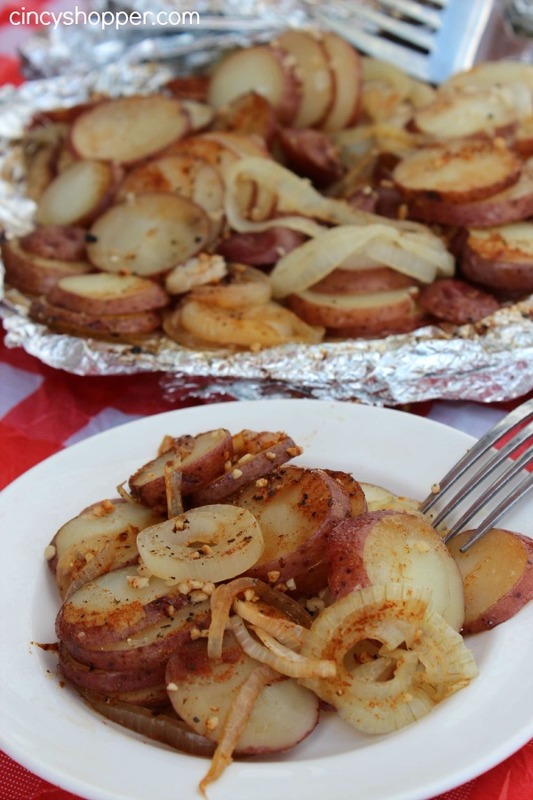 This year we have already made some yummy corn and now these yummy Campfire Potatoes. 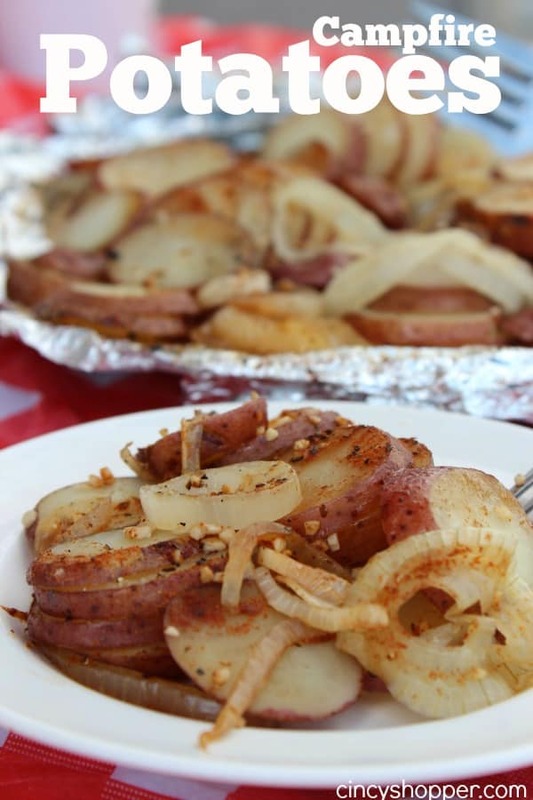 If you are a fan of seasoned potatoes loaded up with lots of garlic and onions you will really like this quick and easy grill recipe. 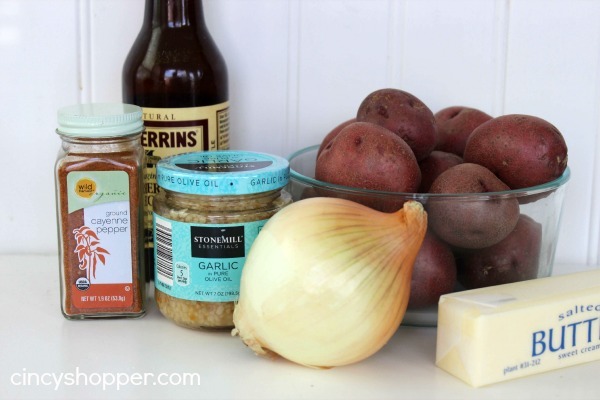 These potatoes would make for a great side with just about any meal. I prefer to grill out as often as we can. A no mess dinner option always excites me, ha ha! These potatoes require very little work and absolutely NO Mess. When warm weather sets in we are cooking on the grill almost every evening. Be on the look out for a Potatoes sale. If you can not locate a deal be sure to consider shopping at Aldi. You will be able to snag potatoes and onions on the cheap. So Simple to make. 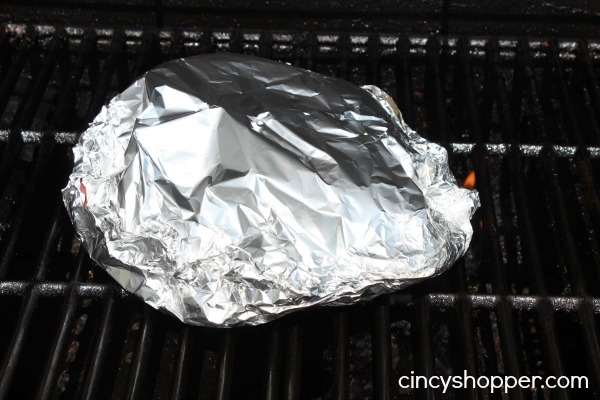 You can wrap everything right up in your foil ahead of time. If you are headed to camp, they will fit right inside of a cooler. Prepped and ready to grill. 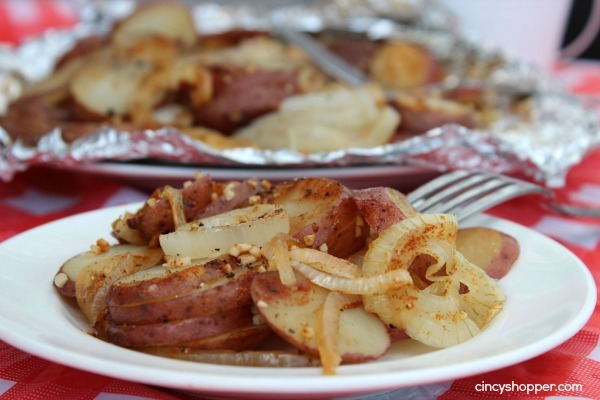 This Campfire Potatoes Recipe will make a great side to just about any meat you are cooking up on the grill. We had them with some steaks last evening. The hubby and I both ate more potatoes than we did steak. They were so tasty and have just a little “kick” to them from the Cayenne. Gonna have to try these…I’m always looking for new ways to fix potatoes. Sounds good! Can’t wait to try them! I use Russets and Valdalia Onions, lots of butter, Sea Salt and fresh ground pepper. I double wrap the foil packets and if using camp fire do not put directly in the fire/flame but in the coals on the edge. We usually put them on the grill and grill till done before we cook the meats. We cook them in the oven in the winter and put the foil packets in a cast iron skillet and bake. Takes about 40 min for tender taters.